48 Hours – Did You See That One? Detective Jack Cates (Nolte) is a stubborn cop on the hunt for a killer. His best hope happens to be a convict named Reggie Hammond (Murphy). 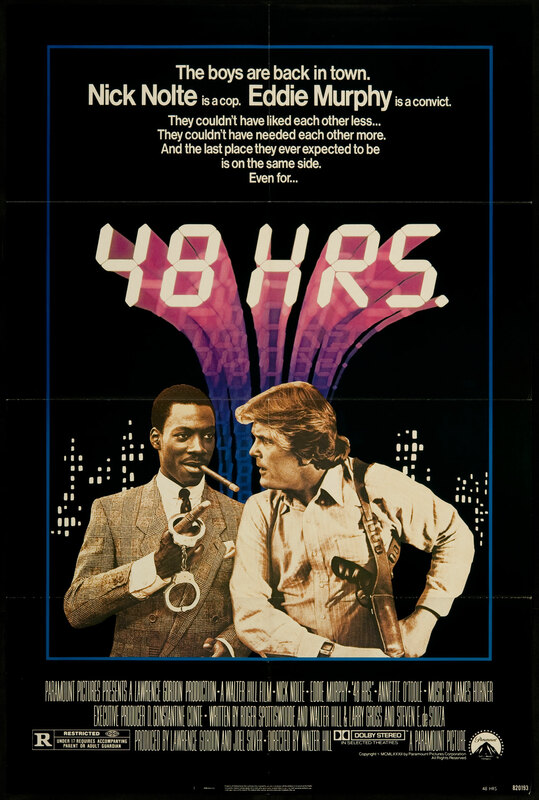 After obtaining Hammond’s 48-hour release from prison, the pair start working to hunt down the killer. 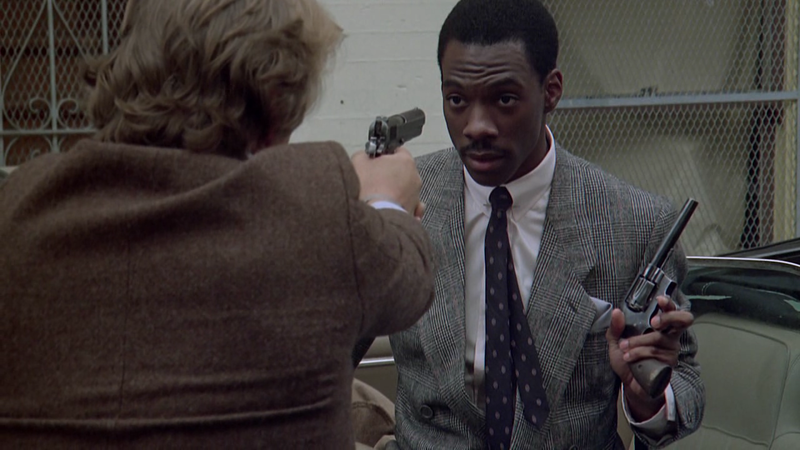 This action-comedy film was directed by Walter Hill (Red Heat) and released in 1982. Hill also helped to write the screenplay with Roger Spottiswoode (Turner & Hooch), Larry Gross (True Crime), and Steven E. de Souza (Die Hard). The movie stars Nick Nolte (Warrior) and Eddie Murphy (Coming to America). James Remar (Django Unchained) is also featured in the cast. This story makes a lot more sense when you see who wrote it. Hill had written Aliens which is all about intensity. Spottiswoode was behind Turner & Hooch which played with crime as well as comedy. Larry Gross wrote Streets of Fire which was an action-crime film, and Steven E. de Souza brought us Die Hard, a film that mixes genres perfectly. All of these different specialties come together in a nice mix of comedy, crime, drama, and action. The dialogue in this film has some very funny moments, but it’s also clearly aged the film. Some of the more racist dialogue feels uncomfortable and awkward now. Other aspects of the movie work just as well today. The action and the crime behind the plot are nicely written. The movie also has a good payoff that’s worth watching for. 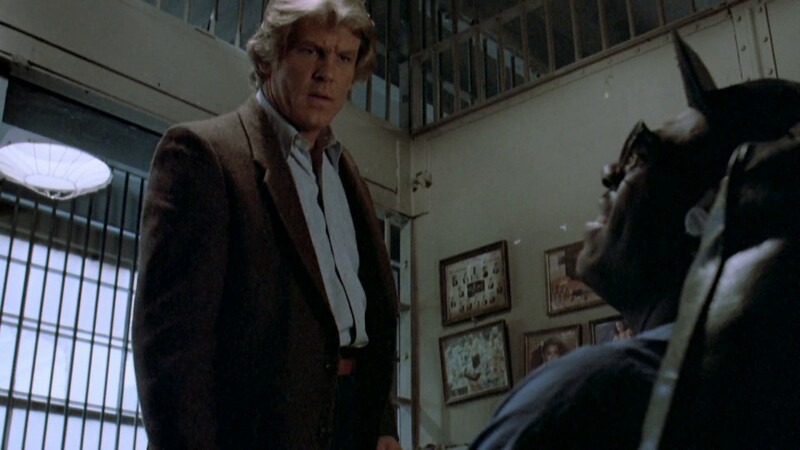 The acting in this movie is help up by nice performances by Nolte and Murphy. 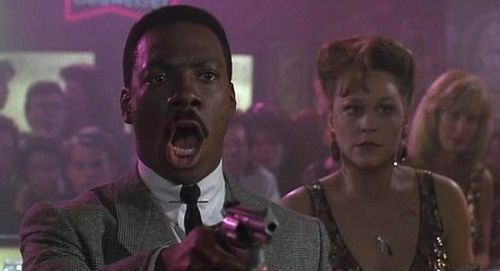 Eddie Murphy brought his edgy brand of comedy to the film, making things entertaining even in more intense moments. Nolte perfectly embodies the hard-nosed cop with a chip on his shoulder. Each of them seems to be working with a role that was built for them. The success comes from their individual performances as well as the awkward chemistry that exists between them. 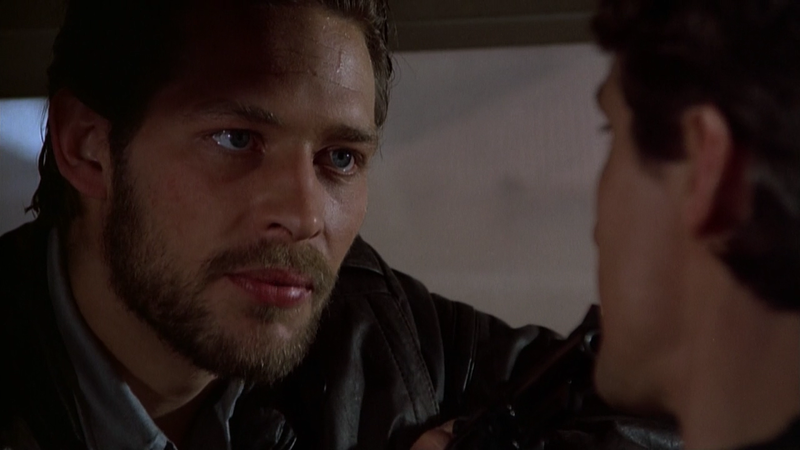 The rest of the cast does good work, and the film is built around good character actors like James Remar. Overall, this offers as much good acting as most 1980s action films. Like the rest of the film, this movie feels like the 80s. The visuals, costuming, and locations all carry the mark of three decades of aging. This isn’t always a bad thing since the film works on enough levels to make it more of a trip down memory lane than a badly aged movie. If you’re a fan of 80s action flicks I’m sure you’ve already seen this one. If you haven’t, I think you’ll enjoy it. I would also suggest this to fans of the two stars. I give this one 3.2 out of 5 stars. This is a good movie. A rated R buddy comedy action flick is rare today. I think they are rare because so few of them have been worth watching. Pingback: Zootopia | Did You See That One?